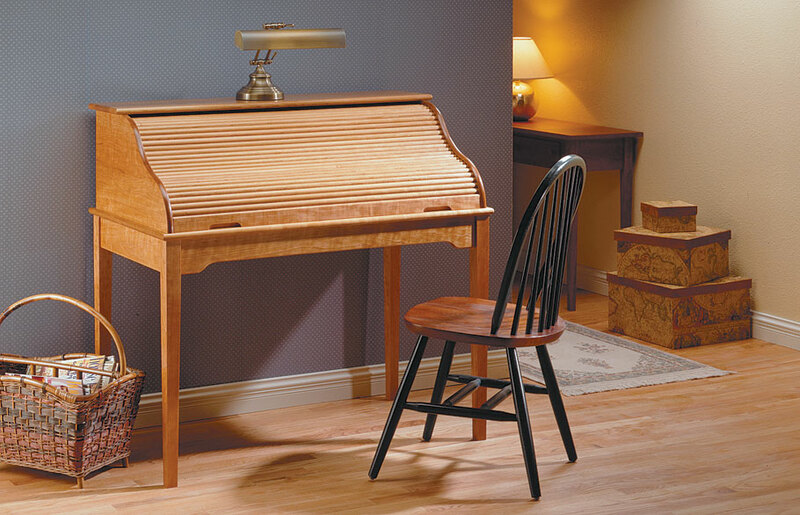 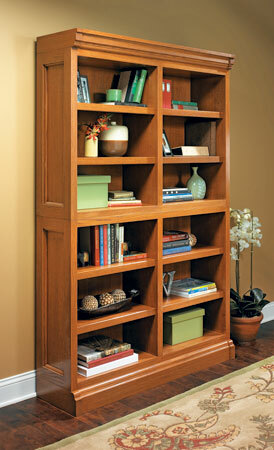 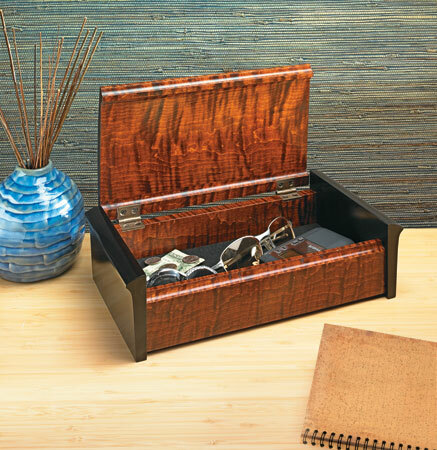 Glide the tambour door open along its “s-shaped” track and you will find a useful desk organizer with drawers and slots. 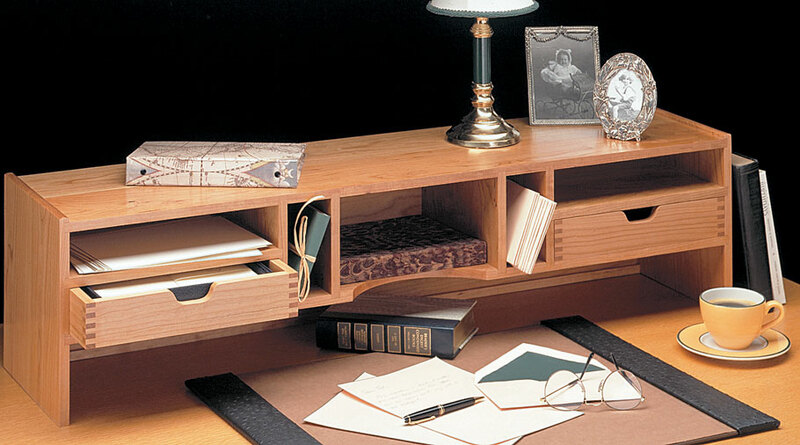 But the most important feature of this desk may be how easily everything goes together. 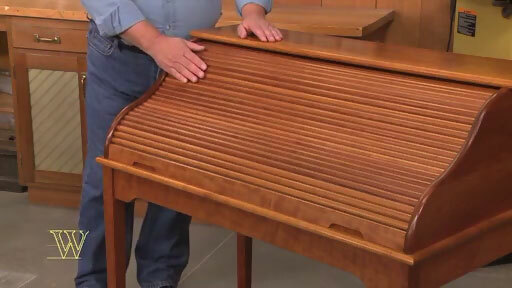 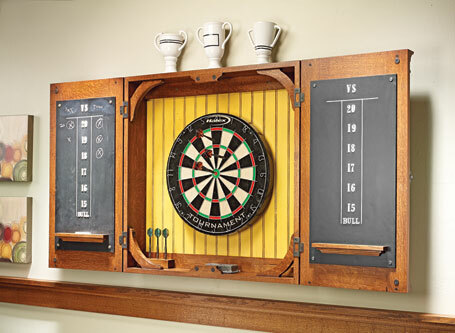 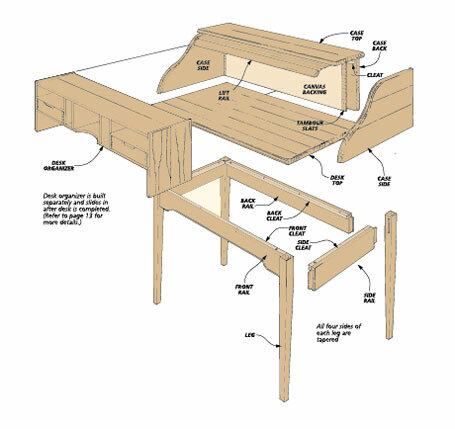 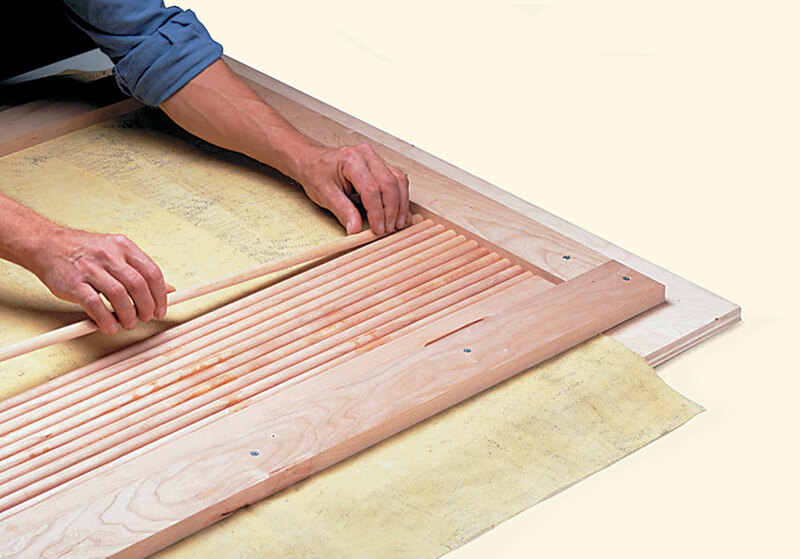 From cutting the tapered legs to gluing the slats to the canvas for the tambour door, this plan gives you all the step-by-step information you need to guarantee the construction goes like clockwork.